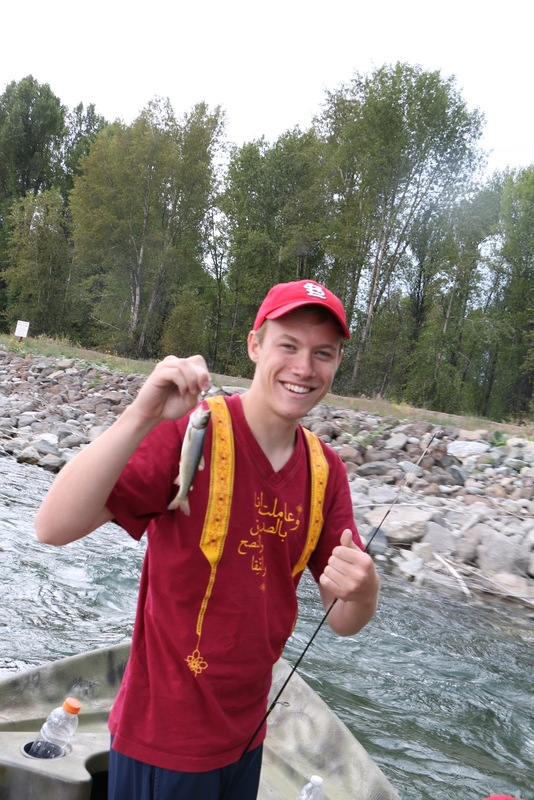 This summer I discovered a new passion: fly fishing. There is a contemplative adventure to swinging a pole with a flowing, designated rhythm--an art and athleticism that is quieting, but yet electrifying, all at the same time. It soothes the soul. The simple sway of the pole soaring above your head, and then placing the curved line onto the ripply water is pure mediation. To be on a river, stream, or lake, pole in hand, brings a oneness with the wilderness world surrounding you. As Thoreau once wrote, " Many men go fishing all of their lives without knowing that it is not the fish they are after." To hold a pole in your hand, and watch the slanted sun glisten as it dances on the swelling water elevates the endorphins in the brain. To be alone on the river with your thoughts or in silence with a companion ties you together, with a tangle that cannot easily be unloosed. And sometimes, if there is conversation, it is of the most salient variety--peppered with humor and wisdom--acquired only on the river and other special places. The hours of time, the chaotic pace we run with, slow down with a fishing pole. Somehow fishing moments are remembered with more clarity and vividness. As my son said yesterday on the river, it is not necessarily about catching a fish, but it is about "catching the happiness" that the moment offers. Catching the happiness and the fish! I have "caught the happiness" many places this summer in the Teton Valley of Idaho, Star Valley, Wyoming, the Provo River on the way to Sundance Ski Resort in Utah, and in Jackson Hole, Wyoming. Two weeks ago on the Snake River near Jackson Hole a friend recounted, "It is not only about the motion of a pole above your head that makes you good at fly fishing. It is about 'reading the water.' It takes years to understand the ripples, seams, shallow and deep spots on a river. Sure, it is important to know which insects are jumping in the season to tie onto your pole. But it is the constant 'reading of the water'' that is the barometer of a good fly fisherman. " This summer I am trying to "read the river" a little better--watching the quiet flow, anticipating the rapids, and delighting in the waterfalls. The Pete, learning how to "read the river." Watching a river for me is like gazing at a crimson fire on a star-filled night; it is mesmerizing, riveting, almost transfixing. The light and shadows, the shallow and deep ravines, and the interweaving creeks that merge unto The River all remind me that watching a river is like trying to understand Life. While I am on a river, I am hoping to catch a fish, but I know that just being in a quiet place, with a pole in hand, prods and revives my soul. As I watch the river gliding by, with the water winding around the creviced banks, I am beginning to understand how to "read a river." It is about standing apart from your own self, and trying to understand a bigger and more beautiful world that surrounds you--even if it is a minute buzzing fly. 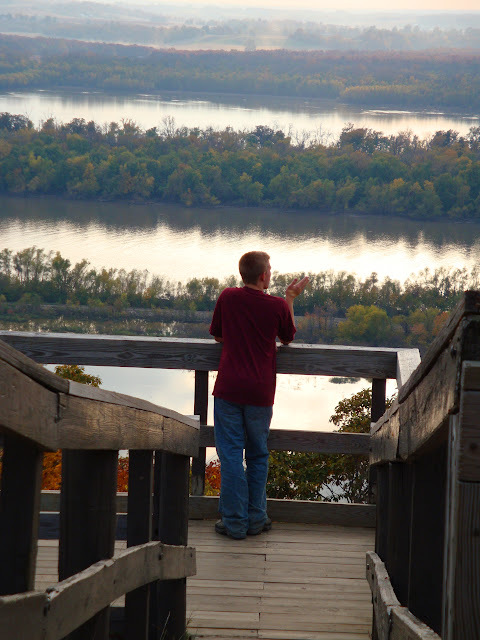 Jonathan, my son, taking the time to "read the Mississippi River"--where he grew up. In the stirring small book about fly fishing and his own family life, A River Runs Through It and Other Stories, Norman Mclean writes about his early life fishing on the Blackfoot River. 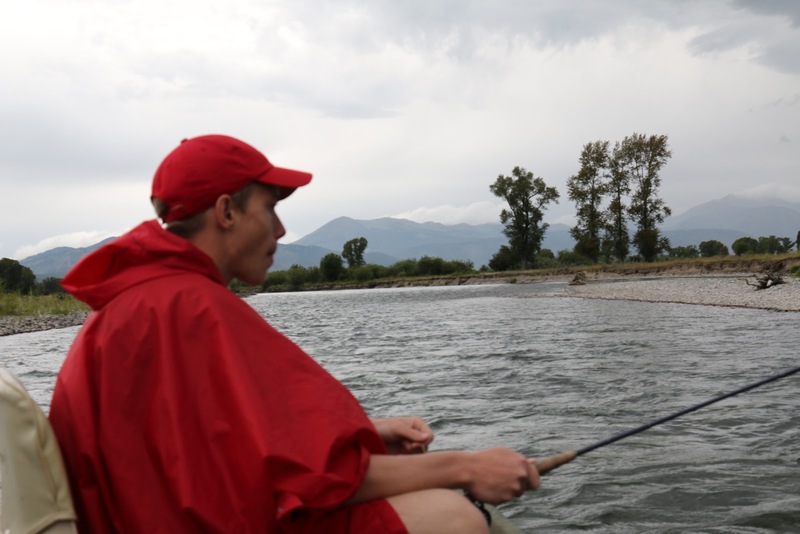 His relationship with a rebellious brother was more loving, more understood because of their constant escape of fishing together--sometimes with their father, and sometimes just the two of them. Although his brother's reckless actions and ways often eluded him, their relationship was tied together with a line of a fishing reel. Mclean's words at the end of his life when he wrote his autobiographical book summarize a lifetime of questions answered on the Blackfoot River: "Like many fly fisherman in western Montana where the summer days are almost Arctic in length, I often do not start fishing until the cool of the evening. Then in the Arctic half-light of the canyon, all existence fades to a being with my soul and memories and the sounds of the Big Blackfoot River and a four-count rhythm and the hope that a fish will rise." "Eventually, all things merge into one, and a river runs through it. The river was cut by the world's great flood and runs over rocks from the basement of time. On some of the rocks are timeless raindrops. Under the rocks are the words, and some of the words are theirs (his family's words). I am haunted by waters." Yes, fly fishing is about "all existence fading" around you. The moments in a river can make all the difference. Great story, almost makes me want to buy a pole but unfortunately water filled lakes and rivers don't exist here in Yucca Valley !! Thanks for sharing all of your adventutes. Will you be going back to Qatar ?? We are connected on an even deeper level now, my friend. 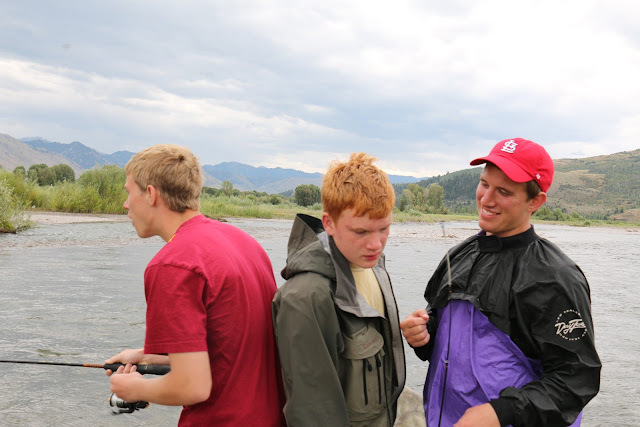 I have been a fly-fisher since my own "Norman McClean" education got underway on the Yellowstone River as a young boy many years ago. The rhythm of fly fishing is of a frequency with the rhythms of nature on so many levels. And, it provides an unending succession of fleeting, but all too real, reasons for hope. No small matter, that. Love you, and love your writing.